I need more structure in my writing life, I recently admitted to a friend. I'm not getting to the page often enough. Her suggestion? Take a writing class. After a summer of leading writing workshops -- from a two-hour session to a five-day camp -- it's time I fill my own well. As I've mentioned before, a writing class gives you permission to focus on your creative life, and provides structure, too. Once I've signed up and paid, my lazy habits typically take a back seat to a sense of purpose and a desire to get my money's worth. No less than five students, and no more than 12. That's my preference. I like the intimacy a small group provides. Some writers gravitate to a grander scale, preferring to observe and fade into a larger group. But I like up-close and personal. I want time to write and share. Small classes, I find, allow more in-depth exchange. Great writers are not necessarily great teachers. Some of my best teachers are not my favorite writers. They're excellent writers, to be sure, but not necessarily matched to my writing style. While it's important to learn from accomplished, respected, professional writers, don't be wooed by big names and bestsellers. Don't be afraid to step out of your comfort zone. I've gained the most valuable skills from lesser known writers whose writing is least like my own. A great teacher offers a balance of personal and professional interaction, along with an equitable blend of writing time to discussion time. Students don't want to endure long monologues. We wanna write! (yes, we're self-centered). A great teacher will also balance warm encouragement with clear direction, and lively discussion with focused lessons and sincere feedback. In a really good workshop, I sometimes feel I've stumbled upon a rare experience, and the class is a beautiful alchemy that no rules can explain. Have you felt this, too? Perhaps it's the mix of personalities, or the timing, or the alignment of planets. There is a mystery, an intriguing combination, that makes a class shine. What do you think? 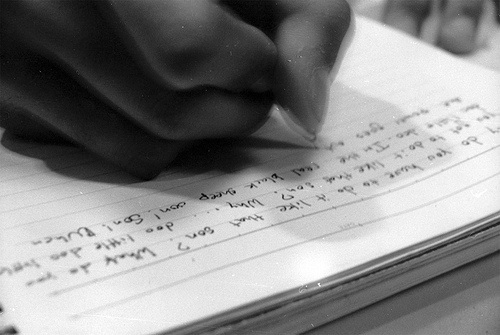 What's your most memorable writing class, and what made it great?